It’s a question that’s often asked and answered by urban planners and placemakers. Last summer’s debate about desnudas and costumed panhandlers in New York City’s Times Square added even more grist to the mill. Numerous physical and social qualities that make a great public space have been proposed. These lists often run into double digits. Numerous illustrative examples have also been proffered. Such an exercise, of course, is highly subjective. Scholars and citizens reasonably disagree over the extent to which size, scale, degree of physical enclosure, amenities, aesthetics, and other variables matter. 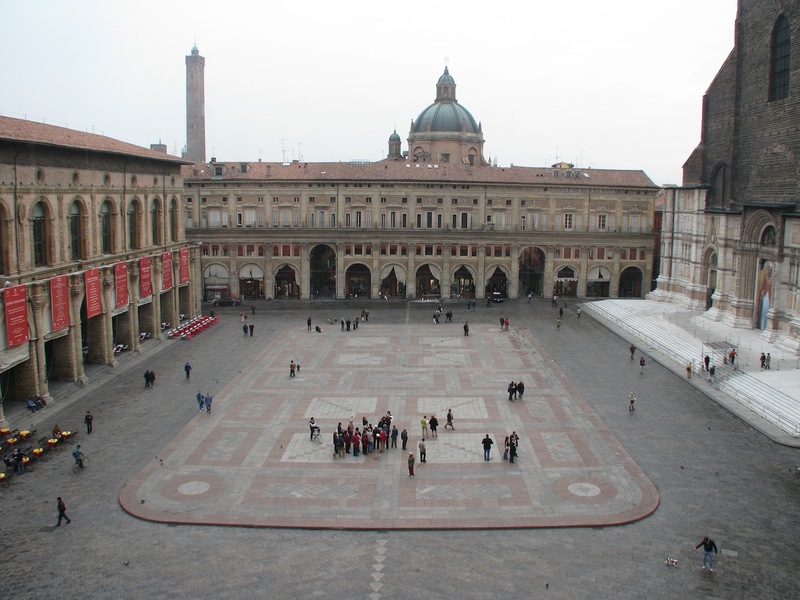 Thus I was struck by A. Ghigo DiTomasso‘s recent, frequently re-posted essay about Piazza Maggiore in Bologna, Italy. 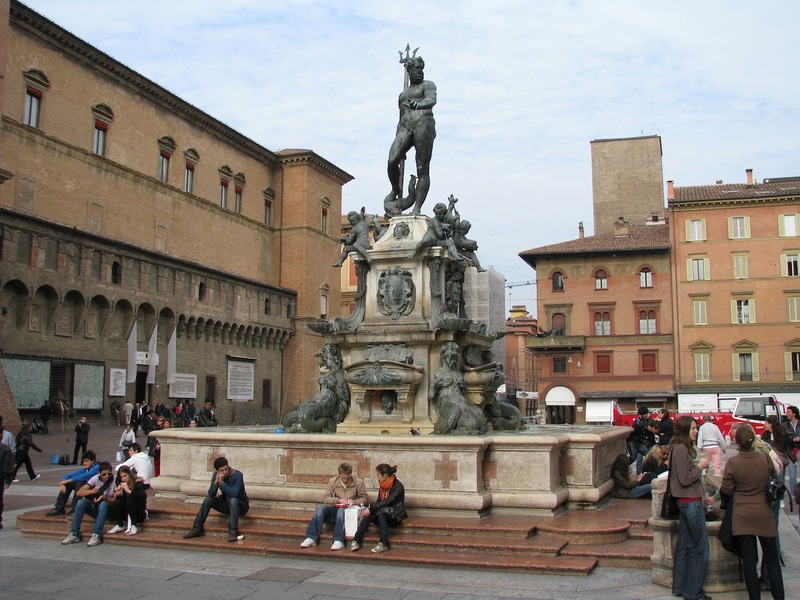 Bologna is a city where I’ve spent some quality time while teaching study abroad in Europe. DiTomasso notes that the Italian piazza has been much imitated here in the United States in the last few decades of the 20th century. The piazza has been much imitated, but rarely duplicated. The American forms don’t usually work in translation. They often have the “finishings of the classic Italian piazza with none of the substance.” They are, in effect, “placeless places.” DiTomasso suggests that American planners need to go back to square one—no pun intended—if they want to use Old Europe as basis for creating better public spaces in New Urban America. DiTomasso focuses on the spatial characteristics or principles that make a place great. His list is shorter than most. Considering his suggestions as well as others, I’d boil it all down to three essential qualities. 1. Centrality: Obviously a great public space should be easily accessible to those communities whose lives planners hope to enrich and enhance. So it was historically with Piazza Maggiore, though of course multiple centers have emerged in Italian cities as they have grown in size and complexity. 2. Connectivity: A great public space should serve as a nodal point for urban pathways. The Project for Public Spaces (PPS) identifies Piazza Maggiore as a textbook example of a public space that “reaches out into the surrounding neighborhood…like the tentacles of an octopus.” PPS celebrates Piazza Maggiore for “the way that streets, sidewalks, and the ground floors of adjacent buildings lead into it.” Bologna’s connecting sidewalks are often enhanced by the city’s famous colonnades, or porticoes. These covered walkways mediate a relationship between the public and private realms and help unify the city. The influence of Piazza Maggiore on pedestrians begins a few blocks away. For DiTomasso the prospect of pathways converging at the urban center creates a “sense of possibility” regarding who or what will be encountered. This sense is something that most American public spaces, and certainly the linear pedestrian mall, simply can’t replicate. 3. Cachet: This is probably the most important quality of a great public space. Cachet is produced by a combination of material elements—including adjacent architecture—that ground a visitor in civic culture and history and, ideally, prompt reflection and conversation. Piazza Maggiore has cachet in spades. One element is the unique pedestrian platform seen in the picture above. Built in 1934, the platform preserves the evidence of American tank damage wrought by the Allied liberation of Bologna on April 21, 1945. The preserved damage forever memorializes that historic event. This formidable statue breaks in message and in execution from [statues] paying homage to a city nobleman, military hero, or favorite son. It is a statue that pays homage to a mythical character meant to evoke one’s fancy, not one’s loyalty to the state. By depicting Neptune, the designer [Tommaso Laureti, with sculptures by Giambologna] made direct reference to Italy’s Roman past, Italy’s cultural heritage. Had it been a statue to Caesar Augustus, the same association would have been made, but that would have been more political than cultural, and far less evocative of the…emphasis on leisure activity. By paying homage to Neptune, cultural association is squarely the target. This statue is all about art, not politics. It is meant to be visually entertaining, and not taken too seriously…[It is] urban furniture at its finest…placed for the pleasure of the public. Camillo Sitte—the great town planning theorist who advocated for the use of artistic principles in urban design, including irregularly shaped public spaces and decentered monuments consciously positioned to serve as backdrops for social activity—would likely approve. Additional cachet is lent by the outdoor exhibits located at the edge of Piazza Maggiore. These exhibits recognize and honor the sacrifice of individual citizens for the good of the city. 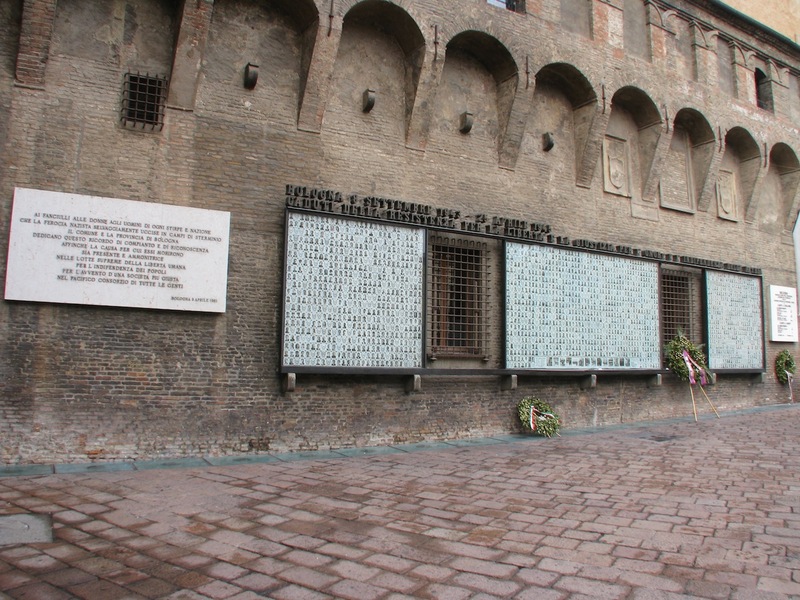 One is the memorial, pictured above, to the Bolognese who resisted Nazi fascism. 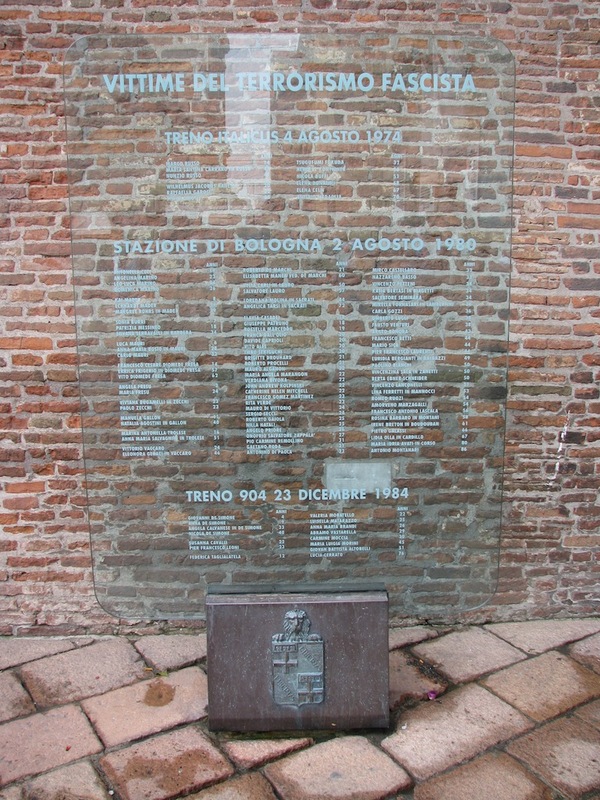 Pictured below is a memorial to the victims of another kind of terrorism, the August 2, 1980 bombing of Bologna’s train station. This one evocatively blends into the wall of Bologna’s City Hall, the Palazzo d’Accursio (aka the Palazzo Comunale). It might be taken as symbolizing the seamless tie between the individual citizen and the larger social collective for which Bologna stands. Commenting on the Times Square debate, Jan Gehl and his colleagues call on cities to provide more exhibits and shows in major public spaces as a way to build civic culture. Permanent exhibits and memorials that engagingly acknowledge real civic histories and shared triumphs and tragedies can work just as well. The more poorly known the histories, and the more fully representative they are of a city’s people, the better for building such a shared culture and, by extension, a shared civic identity. Such exhibits can go a long way toward capturing what DiTomasso calls “the soul of a city’s collective memory.” In so doing one can hope that they will also reinforce a city’s diverse cultural fabric. Finally, Piazza Maggiore’s surrounding civic buildings are material elements that enrich the piazza as much as they are enriched by it. 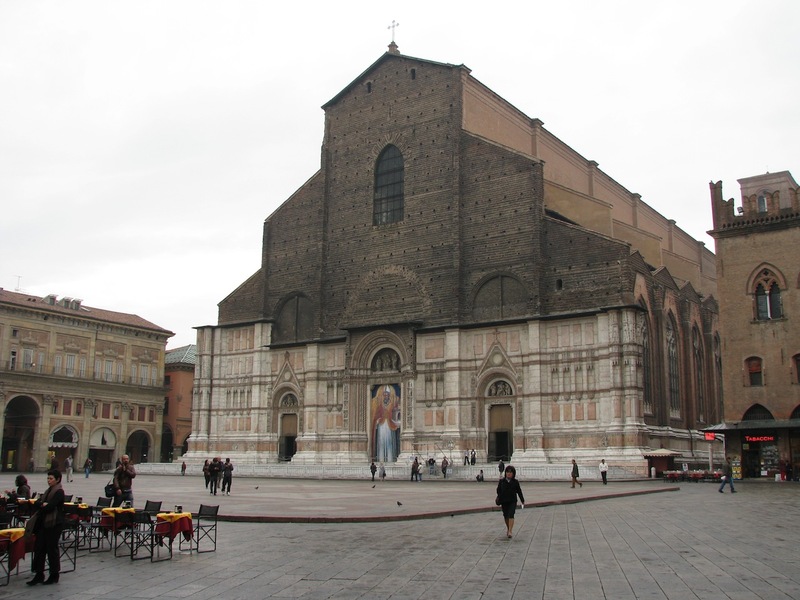 Most significant for its conversation starting quality is the Basilica of San Petronio, one of the largest churches in Christendom. Begun in 1390 to celebrate the victory of the Bolognese over the Florentine pope, the Basilica’s façade was never finished. San Petronio belongs to citizens and symbolizes the city’s freedom and independence. It is very much an archetype of the “civic temple.” The unfinished façade not only adds character but also symbolizes the nature of every city as perpetually unfinished; as always in a process of becoming. In sum, Centrality, Connectivity, and Cachet are the three basic spatial and physical qualities that make a great public space. A fourth quality might be added that goes to the process of city building. Call that quality a commitment to urban Commoning. 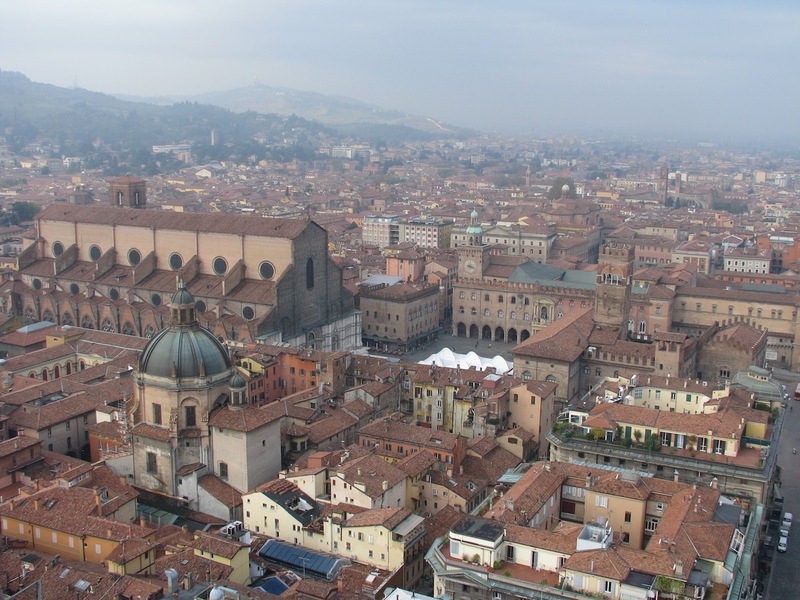 Bologna has been getting some run in the last year for its formulation and approval, in mid-2014, of a Regulation on Collaboration Between Citizens and the City for the Care and Regeneration of Urban Commons. The Regulation is a set of principles and provisions designed to empower all citizens to take an active role in planning, managing, and improving common civic “goods,” including public spaces, streets, buildings, and services. The Regulation grants citizens a genuinely broad-based right to, and ownership of, the city. It’s utterly unsurprising that such a document would arise in a city with an identity and a history like Bologna’s. The Commoning initiative also makes good sense given current European austerity measures and the fact of Bologna’s cultural diversity: only 30 percent of current residents are native Bolognese, and nearly 120 different ethnic groups live in the city. Bologna’s Regulation is a pioneering model of civic collaboration in urban governance that promises to raise the bar for quality placemaking. Cities everywhere are challenged by a volatile global economy, rapidly disappearing public space, and increasing cultural diversity. Appropriately, the first Thematic Conference on Urban Commons sponsored by the International Association for the Study of the Commons will be convened in Bologna early next month. Scholars, policymakers, and other urbanists will produce a set of speeches and papers that civic leaders and activists everywhere would be well-advised to consider. In the meantime, there’s plenty to learn from what Bologna has already accomplished in terms of the design and use of urban public space.